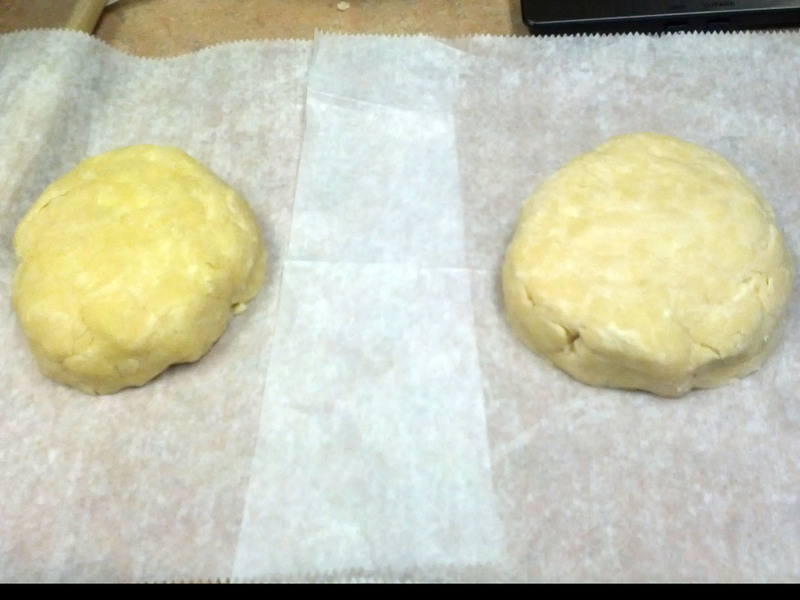 Turn dough out in two portions onto two pieces of plastic wrap, with one slightly larger than the other (this will be your bottom crust). Flatten dough, and shape into rectangles. Wrap in plastic. Refrigerate at least 1 hour (or overnight).